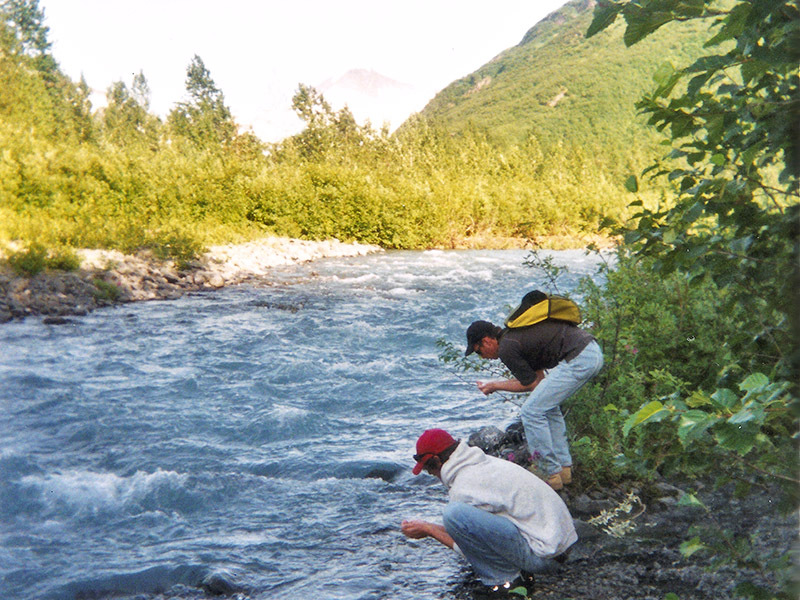 Drinking from a glacial-fed stream in Alaska during a visit to the Iditarod National Historic Trail. The Iditarod National Historic Trail is a 2,300-mile route in Alaska made up of ancient paths connecting Native Alaskan villages. The route came to be called the Seward to Nome Trail and during the winter was traversed by large sleds carrying a thousand pounds or more – and towed by large teams of spirited dogs. This route became famous worldwide in the winter of 1925, when an outbreak of diphtheria threatened the isolated town of Nome. With air travel still a few years away and winter ice ruling out maritime travel, only sled dogs would be able to deliver the serum — which was now urgently needed to save the lives of residents. The serum was loaded off of trains and met by a relay of 20 teams of local mushers, who rushed the serum 674 miles in just five days across Alaska’s deep wilderness. Today’s popular Iditarod Race pays tribute to this accomplishment. Over 1,500 miles of the Iditarod Trail are accessible, including by dog sled, with a few outfitters along the route. Some sections can be reached by car or train (via a railway between Seward and Knik, Alaska). The Iditarod is the only National Historic Trail today to pay tribute to America’s dogs and their role in an important moment in history.